It has been nearly a week since this story reached the public discourse. It is the story of Monica Gaudio – an author scorned — and Judith Griggs, the smug and arrogant editor of the Cooks Source Magazine, based in New England. Most copyright infringement stories never see the light of day, but this one was very different. Monica did not say, “You have wronged me, so send me money.” Instead, she said in essence, “You wronged me. Apologize in public and send a check to the Columbia School of Journalism.”?? She asked for the payment to go to charity. She suggested that in removing the Old English from the original text, she had in fact improved the article to the point where the author could now use the article in her “writing portfolio”. And perhaps the bit that got most people riled was the suggestion that the author should compensate the editor for the rewrites! Yes Monica, I have been doing this for 3 decades, having been an editor at The Voice, Housitonic Home and Connecticut Woman Magazine. I do know about copyright laws. It was “my bad” indeed, and, as the magazine is put together in long sessions, tired eyes and minds somethings forget to do these things. But honestly Monica, the web is considered “public domain” and you should be happy we just didn’t “lift” your whole article and put someone else’s name on it! It happens a lot, clearly more than you are aware of, especially on college campuses, and the workplace. If you took offence and are unhappy, I am sorry, but you as a professional should know that the article we used written by you was in very bad need of editing, and is much better now than was originally. Now it will work well for your portfolio. For that reason, I have a bit of a difficult time with your requests for monetary gain, albeit for such a fine (and very wealthy!) institution. We put some time into rewrites, you should compensate me! I never charge young writers for advice or rewriting poorly written pieces, and have many who write for me. ALWAYS for free! Notice: Spelling and grammatical errors have not been corrected. This is the email that has been read around the world!! And it just oozes with smugness and arrogance. And it really tees off the people who read it. Perhaps one of the best YouTube Video responses to this copyright infringement controversy is the one that is presented here. Today will be day 6 in the Cooks Source controversy, and to date, no one has been able to reach Judith Griggs (Owner/Publisher of Cooks Source Magazine) for comment. Her phones and email are going unanswered. Well, here I am with egg on my face! I did apologise to Monica via email, but aparently it wasnt enough for her. To all of you, thank you for your interest in Cooks Source and Again, to Monica, I am sorry – my bad! They say that the part of the iceberg that you can see is just a portion of what is actually there. It is suggested that as much as 90% to 95% of the iceberg is hidden beneath the waves. And so it was with this story. As a certain point, someone realized that if Cooks Source would publish content by one author, without notification or payment, then perhaps the magazine had done it before. So people began to review previously published materials to see if there were any other potential cases of copyright infringement by Judith Griggs and Cooks Source Magazine. 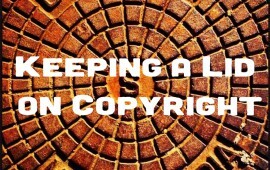 People began to investigate the possibility of additional copyright infringement cases. In Edward Champion’s blog, he has been contacting the rightful copyright owners of the potential theft of their materials. Currently, he has verified 6 cases of copyright theft by Cooks Source Magazine. In the Time Magazine news story, it has been confirmed that Paula Deen of The Food Network has sent the potential copyright infringement of her articles to The Food Network’s legal department. NPR has also confirmed that one of its stories was included in Cooks Source Magazine. While the story did not specify what actions NPR may take, they did verify in the story the fact that one of their articles had been used. Other potential thefts from major media companies include content created by: Disney, WebMD, Weight Watchers, Food TV, Martha Stewart, Whole Living, Recipes?? Today, Natural News, and Sunset.com. Monica Gaudio has also verified that she has secured an attorney to help her in her case. Gaudio’s attorney may be joining a Who’s Who of media giants in the legal actions that will drive Cooks Source Magazine into bankruptcy. How is that for “a pound of flesh“? [schema type=”recipe” name=”Mud Pie for Authors” author=”Bill Platt” pubdate=”2010-11-09″ image=”https://website101.com/wp-content/uploads/2015/12/Cold-Brew-Coffee-Dilution-Sweetening.jpg” prepmins=”20″ cookhours=”1″ yield=”12″ calories=”2000″ fatcount=”0″ sugarcount=”2″ saltcount=”.5″ ingrt_1=”Cooks Source Magazine” ingrt_2=”1 lb. Mud” ingrt_3=”2 – Standard Pie Crusts” ingrt_4=”2 teaspoons of Powdered Sugar” ingrt_5=”2 cups of wine” instructions=”Shred the Table of Contents and the About The Publisher pages of the Cooks Source Magazine. Don’t forget to include the page that includes the Cooks Source copyright notice. Cooks Source has been called in jest: Crook’s Source, Crock’s Source and Kook’s Source. It has gained its own Wikipedia page and Meme page. Another website has been set up at Crooks Source.com to keep tabs on the story as it develops further. 1. To use content on the web without permission, then request payment from original author for rewrites and editing. 2. To remain ignorant of plagiarism, ethics, copyright, and asshat behavior. It is like outsourcing, but you do not pay for the content you use. And if caught, you claim that you have a legal right to steal the content. With the coming copyright infringement lawsuits, we are certain to continue to see Cooks Source in the news for a long time. And given the fallout with a “professional editor” thinking that the Internet is “public domain”, educators are sure to be talking about this case for many years to come. In 2010, Bill produced a comprehensive Traffic Generation Strategies Guide that reviewers are widely praising for its quality and detail. One reviewer summed it up as, “Comprehensive! !” This inexpensive traffic generation guide is an absolute must for any online business owner. Pick up a copy for your marketing library. Married, with three boys, and living in Stillwater, Oklahoma USA. 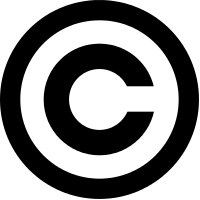 The Ultimate Guide To Copyright And Your Website – What Do You Own? What Can You Use?